The "Zero Foam" is a rarity in the mattress/sleep product industry; a mattress that is foamless and that offers a great amount of comfort and support. For people with allergies, who prefer to sleep on a bed that is comprised wholly of natural materials and that gives contouring effects to back, side and stomach sleepers - the "Zero Foam" is the perfect choice. 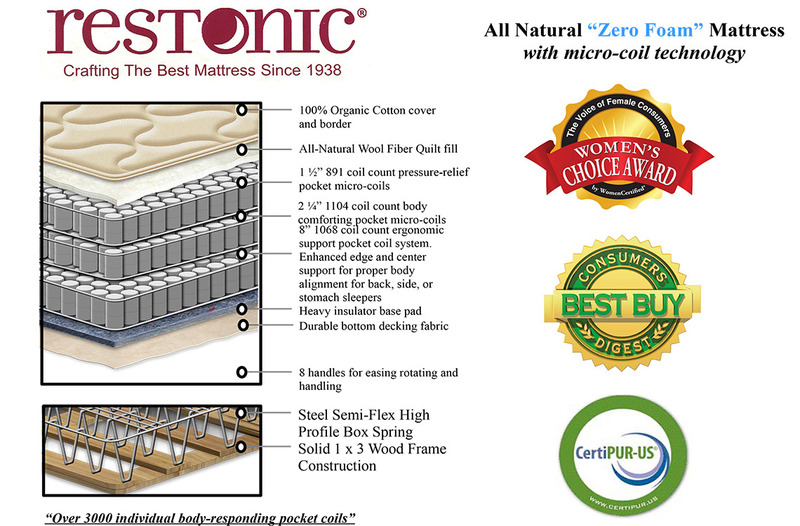 With a total coil count of over 3000 (Queen), a 100% organic cotton cover and an all-natural wool fiber quilt-fill, this offering from Restonic and Michigan Discount Mattress is definitely a stand-out. Coming from a maker (Restonic Mattress) that has won nearly countless awards for their quality and value, we expect this model to be yet another that is in high demand! 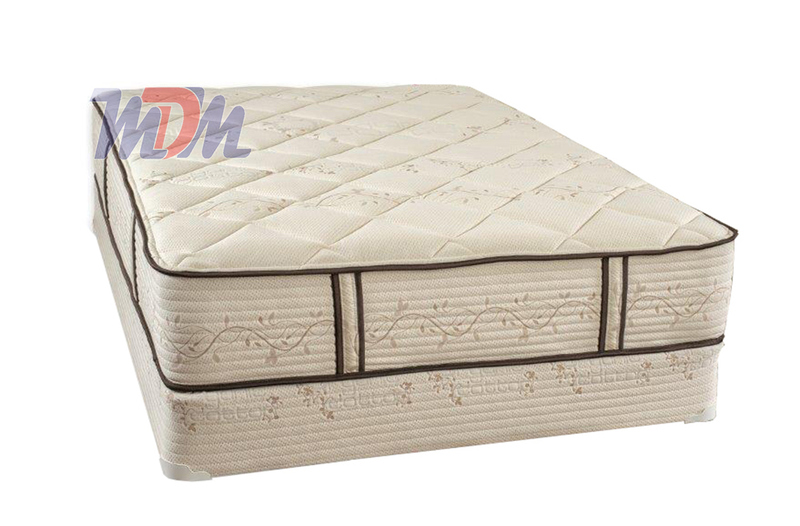 This definitely a specialty bed and its made to have a luxurious feel. Great for people with allergies or who just plain feel better on a mattress without foam (some people have had bad experiences with foam breaking down), the "Zero Foam" offers all of the edge support, comfort, absence of motion transfer, body contouring and durability that every Restonic mattress offers - just without the foam layers. The strategic buildup of differerent layers of differing pocket coils and micro pocket coils is quite impressive in this model, as is the strong edge support; especially for a mattress that hasn't any foam encasement! The organic cover and natural materials are a great touch and and so is the layer of wool that replaces the normally foam-based fire retardant layer. For those in need of a specialty mattress and who appreciate the comfort they'll get from such a well thought-out product, the Zero Foam is a great match! Available in both standard and custom sizes.